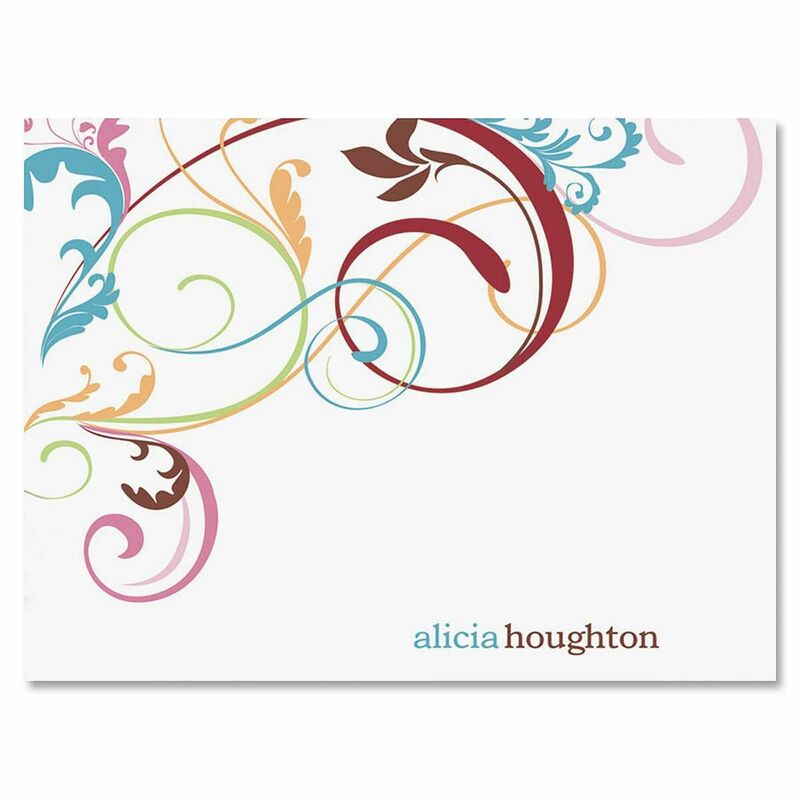 Swooping multicolored swirls curl across a background of pure white on our Fantasia personalized note cards, a sophisticated yet colorful expression of a happy outlook. 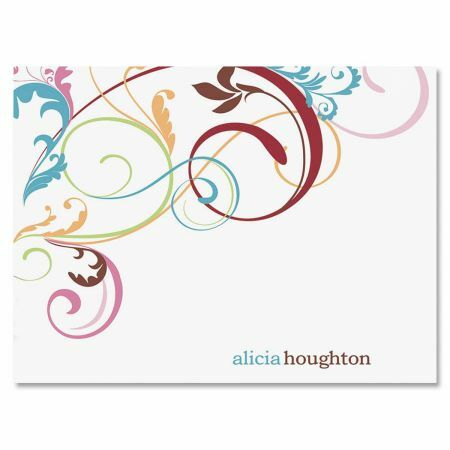 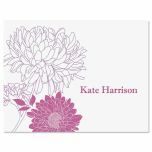 Personalized just for you at the lower right in teal and burgundy inks, our note cards warmly share announcements, encouragement, thanks, congratulations, and more. 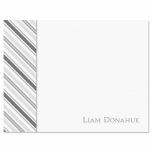 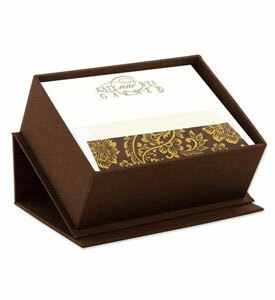 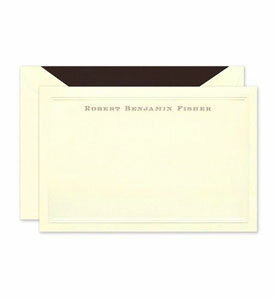 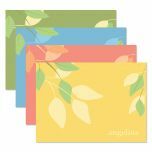 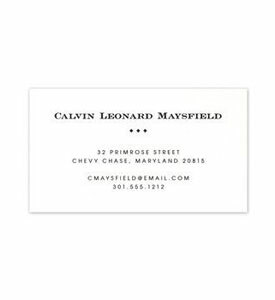 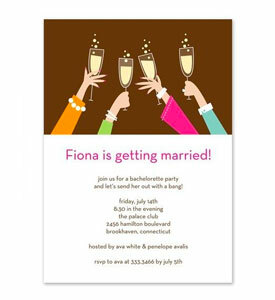 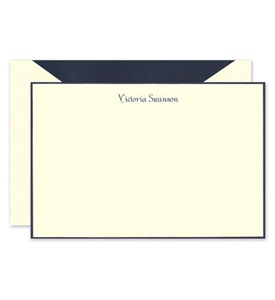 Blank-inside folded note cards are 4 1/4" x 5 1/2" and come with white envelopes in gift packaging. 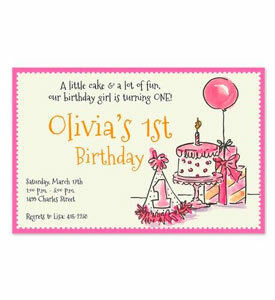 Specify line 1 (teal), up to 12 characters and line 2 (burgundy), up to 12 characters. 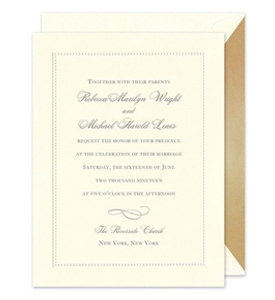 Printed in all lowercase letters.